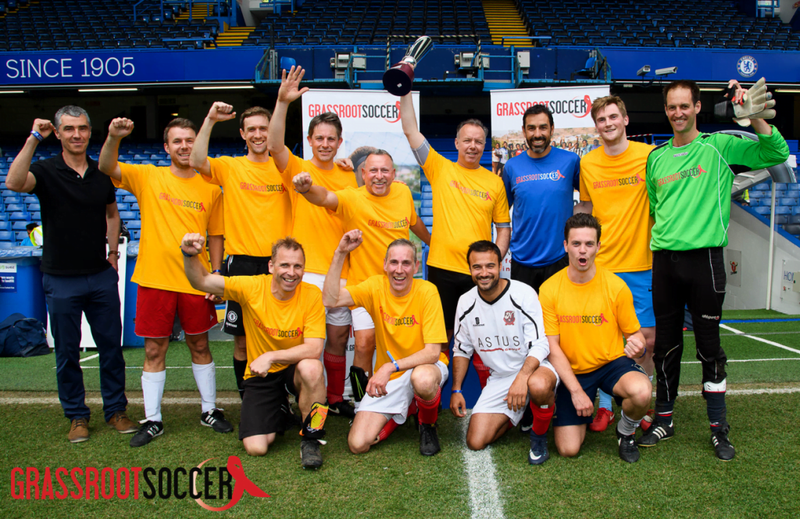 LONDON – On Monday, 21 May, a dedicated group of Grassroot Soccer (GRS) supporters gathered under sunny skies on the hallowed turf of Stamford Bridge. With Chelsea F.C. nowhere in sight, the 11 teams were there to compete in the inaugural 7-aside Grassroot Soccer Changemaker Cup, each vying for the coveted title of Champion Changemaker while raising money to empower youth to become agents of change in their own communities. Among the players at the first-of-its-kind event was GRS Ambassador Robert Pirés. 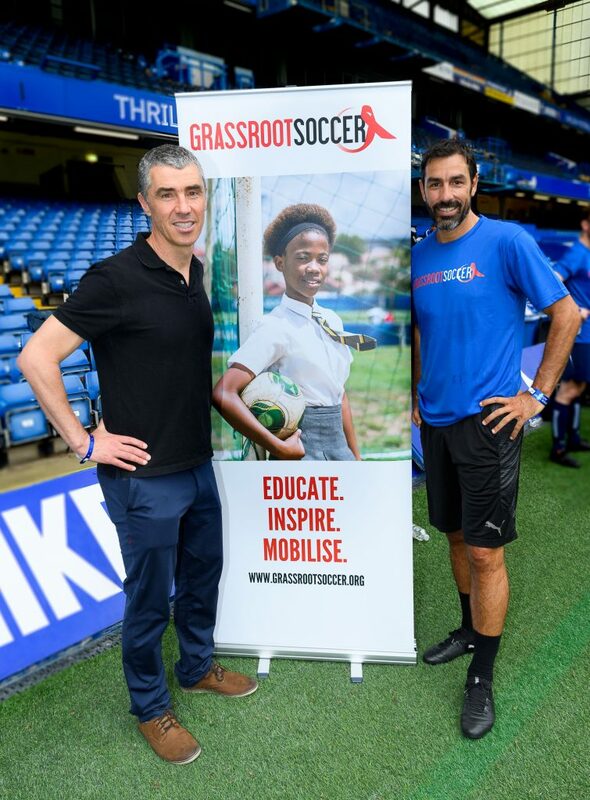 The standout French footballer has used his public platform to support GRS since 2012, when he was inspired by the presence of relatable role models – Caring Coaches – in GRS programming. “It was a pleasure to participate in our tournament. I enjoyed it very much and it’s important to me to support GRS.” Pirés competed in the day’s events on team Tristan Capital, captained GRS UK Chair Nik Haigh. His appearance came as an unexpected surprise to many – including one bewildered player who remarked how much “number 7 looks like Robert Pirés!” after a healthy thrashing by the Tristan Capital team. 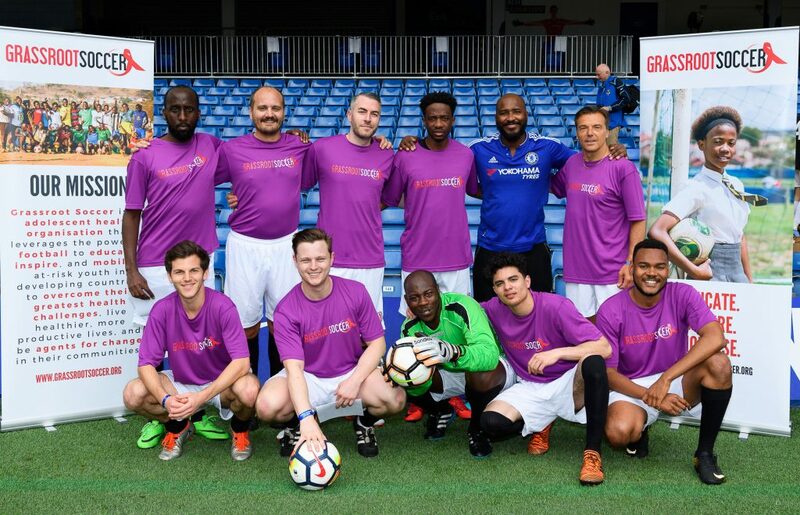 Grassroot Soccer Founder and CEO Tommy Clark was also on-hand to speak on behalf of GRS and present prizes alongside Pirés, thanking spectators who came to support. One noteworthy remark came from the Chelsea referees, who noted that it was the highest standard of amateur football they had seen played at Stamford Bridge. Other teams included POAN, with Gary Linekar’s son Tobias taking part. Also present was Will Champion of Coldplay who – rumor has it – has impressive skills on stage and the pitch! The impact of GRS curricula is centered around a concept called The Three A’s. Each of these pillars – assets, access, and adherence – lends itself to the shared success of Grassroot Soccer Participants and Coaches. Assets provide increased health knowledge and the confidence to use it; Access ensures the increased uptake of high quality health services; and Adherence encourages compliance with medical treatment, therapy, and healthy behaviours. 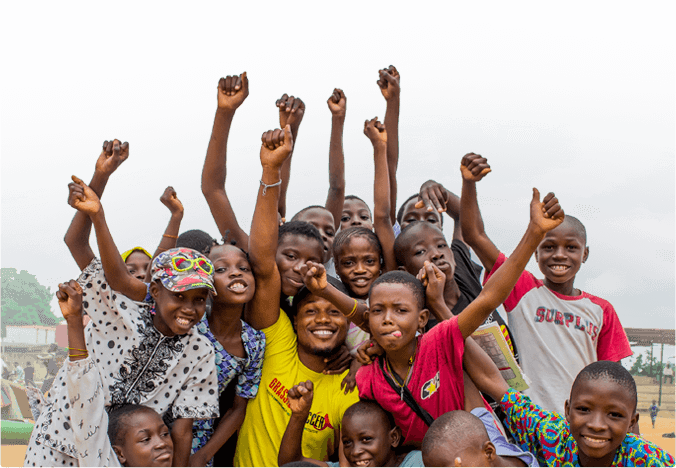 The success of Monday’s tournament will provide funding for 1800 youth to participate in GRS programmes, connecting them with the mentors, information, and health services they need to thrive. Grassroot Soccer would like to extend a special note of gratitude to all who participated in the Changemaker Cup. Your generous support is empowering youth across the globe to overcome their greatest health challenges, equipping them with lifesaving skills while mobilising them to become tomorrow’s greatest changemakers. Thank you! Interested in participating in the 2019 Changemaker Cup? Contact Amelisa Wright (awright@grassrootsoccer.org).